You hear the advice on a regular basis: “Eat more fiber.” Food labels are plastered with “high fiber” and “good source of fiber” everywhere you look. 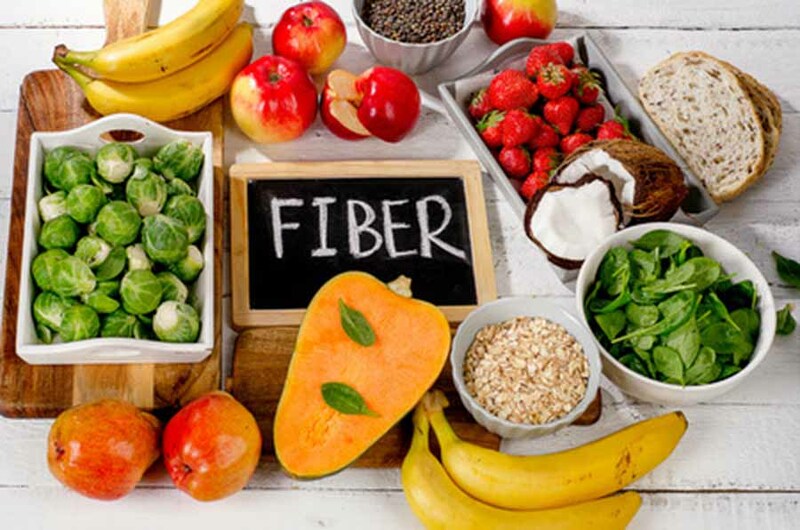 You probably know that fiber “helps you poop” when your bowels are sluggish, and you might have even heard that fiber is good for your heart—but did you know that a high fiber diet protects against colon cancer? That’s right. A number of studies have found a high fiber diet to help prevent colorectal cancer. So how does it work? I’ll break it down for you here, step by step. There are two types of fiber: soluble and insoluble. Soluble fiber expands when it takes on water, which bulks up stool as it passes through the digestive tract. And insoluble fiber remains intact throughout the entire digestive system, helping stool to maintain its form. When stool is “bulky,” it is more easily passed through the intestines, helping to keep bowel movements regular. When well-formed stool passes more easily through the digestive tract, it actually moves more quickly than without it. This shortened transit time is thought to contribute to the protective effects of fiber since carcinogenic compounds in stool are passed out of the body more quickly (instead of hanging out in the colon, damaging the intestinal lining). Beneficial bacteria in the digestive tract actually ferment soluble fiber as it passes through the intestines, producing a short-chain fatty acid called butyrate, which is known to inhibit colorectal tumor growth. And as an added bonus, the population of beneficial gut bacteria increase, further fortifying the intestinal lining. Win-win. It’s clear that we could all use more fiber in our diets, but with so many different high fiber foods, it’s hard to know where to start. Most fruits and vegetables contain a blend of soluble and insoluble fiber and are the healthiest way to increase your fiber intake. Consuming five to ten servings of low-sugar fruits and non-starchy vegetables will help get you to your goal of 35 grams daily (what I’ve been recommending for years). You can add legumes, nuts, and certain non-gluten grains (in moderation! ), but let the fruits and vegetables make up most of your fiber intake. I love to make a blended drink to pack a lot of fiber into one serving. You can make a smoothie with a high fiber protein powder, adding fresh fruit and veggies if your blender can handle it. If you’re not sure how much fiber you consume on a daily basis, track your intake for a week or so. For unpackaged fruits and vegetables, you can Google “fiber content [food]” to get your totals at the touch of a screen. See what you can do to up your fiber intake to 35 grams each day. Your colon will thank you.